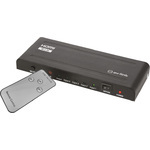 HDMI IR receiver for use with HDMI splitters, switchers and matrixes. 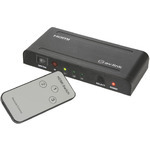 This mini HDMI switch allows a single display to be connected to up to 3 HDMI sources and selected using the IR remote control or selection button on the unit. 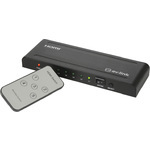 Front LEDs keep you informed as to which of the inputs is live at any one time. 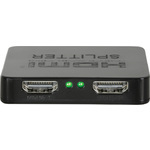 This 4K compatible mini HDMI splitter allows a single HDMI source to be connected to two displays at the same time. 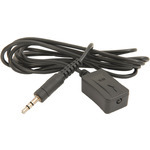 Supplied with an additional USB power lead should it be required, it can also be placed at the end of a long HDMI cable to regenerate the signal. 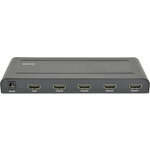 4K HDMI splitter to connect a single HDMI source to multiple displays at the same time. 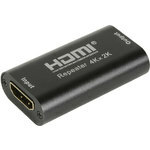 Use with HDMI cables of a combined 25m per output for HD resolution, or a combined 16m per output for 4K resolution, without signal loss. 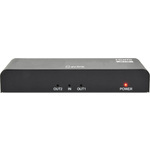 These slimline HDMI switches allow a single display to be connected to multiple HDMI sources and selected using the IR remote control or selection button on the unit. 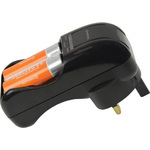 Gold plated connections ensure optimum signal transfer and the LEDs on the front of the unit keep you informed as to which of the inputs is live at any one time.